Orientation Tour, Chicago River Cruise – Navy Pier, Millennium Park with Cloud Gate & Crown Fountain, Museum of Science & Industry, 360 Chicago with ‘TILT’ (JohnHancock Observatory). 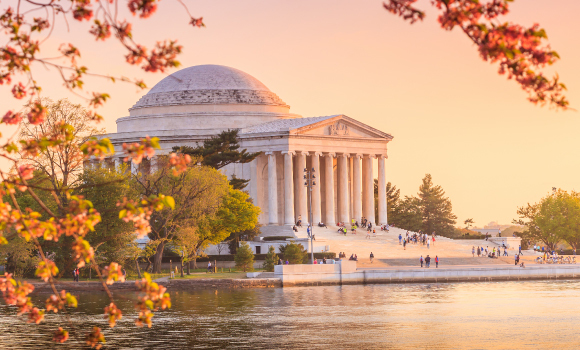 National Air and Space Museum, Guided City Tour – Capitol Hill, White House, Washington Monument, World War II Memorial, Lincoln Memorial, Jefferson Memorial. Guided City Tour - Liberty Bell, Independence Hall, City Hall. Illumination Tour, Guided City Tour – Wall Street, the New York Stock Exchange, World Trade Centre site (Ground Zero), Brooklyn Bridge, Broadway, Times Square & United Nations Building, Statue of Liberty, Beast Speedboat, Empire State Building. Guided City Tour - Beacon Hill, Fenway Park, Copley Square, Harvard University, Downtown, Backbay, Boston Tea Party Ships & Museum, Whale Watching Cruise (Weather Permitting). •	Welcome to your “Grand East Coast – Summer 2019”tour! •	On arrival into Chicago (on your own arrangements) and check in (check-in after 1400 hours). •	After an early lunch, proceed on an orientation city tour of Chicago – the Windy City with a picturesque skyline – by driving through Lincoln Park, Wrigley Field, Willis Towers etc. •	Rest of the day is free to explore the city on your own. •	Start your day with Navy Pier - Chicago's lakefront & Midwest's #1 attraction with over 50 acres of entertainment. •	Embark on a cruise over the Chicago River to admire the city’s world-famous architecture. •	Visit the Museum of Science & Industry – a ‘must see’ in Chicago. •	Navigate through a mirror maze; manipulate a 40-foot tornado; climb aboard a World War II German submarine; board a 727 hanging from the ceiling & much more. •	Later, head towards the city’s most unique attraction – 360 Chicago, formerly called the John Hancock Observatory. After only a 40-second ride in North America's fastest elevators, reach to the 94th floor – an open-air observation deck. This is not just about viewing. For the first-time-ever, enjoy ‘TILT’ – Chicago’s highest moving experience. This one-of-a-kind marvel tilts guests out and over the city and gives up to 8 visitors at a time the most thrilling views of Chicago. From 1,000 feet above Chicago’s legendary Michigan Avenue, you can see the states of Illinois, Indiana, Michigan and Wisconsin on a clear day. •	Today, drive to Detroit – Michigan’s largest city best known as the center of the American automobile industry. •	Visit the Henry Ford Museum of American Innovation - where past innovations fuel the imagination of generations to come. Housed by iconic exhibits including the presidential limousine of John F. Kennedy, Abraham Lincoln's chair from Ford's Theatre, Thomas Edison's laboratory, the Wright Brothers' bicycle shop, the Rosa Parks bus and many more, Henry Ford Museum is a must-visit while in Detroit. •	Evening is free to explore on your own. •	Today drive to Cleveland and proceed on an orientation tour of the city. •	Later arrive in Niagara and check-in to the hotel. •	This morning, visit Niagara Falls, one of the most visited natural wonders of the world. •	Discover the beauty of the legendary whirlpool and rapids as you cruise past the base of the falls on the Maid of the Mist. (Due to weather conditions, the Maid of the Mist operates from the last week of May. The View Mobile Tram ride will be provided instead to all tours arriving in Niagara Falls prior to the last week of May). •	Later, arrive in Washington D.C. the capital of USA. Washington D.C. is a sightseeing treasure-trove. •	Evening is at leisure to explore this city on your own. Onto Philadelphia • Visit National Air and Space Museum • Guided City Tour of Washington D.C.
•	Today, visit the National Air and Space Museum at the Smithsonian Institution, the world’s largest museum complex. •	Later, proceed on a half-day guided city tour. Your first stop will be Capitol Hill (photo stop). Then drive on, through Pennsylvania Avenue, to Lafayette Park for a view of the White House (photo stop). Make stops at the Washington Monument, the World War II Memorial – a tribute to the spirit, sacrifice and commitment of the American people, the Lincoln Memorial and Jefferson Memorial. •	Later, drive to Philadelphia and check-in to your hotel. •	Today, explore Philadelphia – a city that played an instrumental role in the American Revolution and journey of Independence. •	Embark on a guided city tour visiting the Liberty Bell, one of the most recognized symbols of American freedom and several other historical monuments and visual displays. •	Later, drive to New York City. Catch glimpses of the ‘Big Apple’ on an illumination tour, driving past spectacularly lit landmarks of New York - it’s magnificent!! 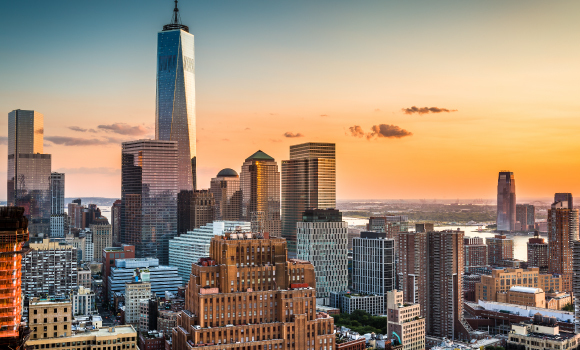 •	Today, enjoy a guided city tour of the ‘city that never sleeps.’ Drive past some of the iconic landmarks like Wall Street, the New York Stock Exchange, World Trade Centre site (Ground Zero), Brooklyn Bridge, Broadway and Times Square. •	Stop for photographs at the United Nations Building. Embark on a guided visit to the Statue of Liberty via ferry. Reach the Liberty Island and soak in the views of Lady Liberty up close. •	Next, get on to ‘The Beast’ Speedboat for a thrill ride of New York City down the Hudson River at a speed of upto 45 mph. Stop within 100 feet of the Statue of Liberty and enjoy panoramic views of midtown and lower Manhattan. •	Later, visit the observation deck situated on the 102nd floor of the Empire State Building – an icon that stood as the world's tallest building for nearly 40 years. Enjoy spectacular views of the city skyline and breathtaking vistas that stretch for miles in every direction. •	Today, drive to Boston – a city that symbolizes America’s Freedom Movement. •	Take a guided city tour to explore all must-see attractions. Later visit the Boston Tea Party Ships and Museum and get a sense of what life was like in 18th-century Boston. Aboard this floating museum, get an in-depth look at the events leading up to the Boston Tea Party and relive the most important event leading up to the American Revolution. •	Experience the best of New England’s marine wildlife on a guided whale watching cruise (weather permitting). •	Our destination: Stellwagen Bank Marine Sanctuary, a rich feeding ground for whales, dolphins, sea birds and other marine creatures. Hop on a high-speed catamaran that gets to and from the whales in the least amount of time possible. •	On most days, you have a good chance to view several different species of large whales, including humpbacks, finbacks, minkes, pilot whales and the critically endangered right whales. •	Evening is at leisure to explore the rich heritage & culture of Boston on own. •	Relive the high points of your “Grand East Coast – Summer 2019” tour.